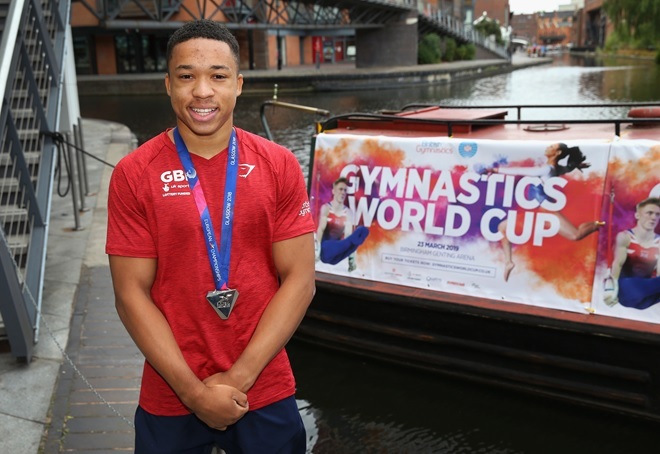 Joe Fraser, from City of Birmingham, will be preparing for the World Cup in his town this weekend with a stellar line-up already announced - with competitors including Olympic, World and European medallists. This will be Joe’s first World Cup and hopes to impress as he did in his first two years as a senior. For Great Britain, Joe will be joined by Jamie Lewis from Woking Gymnastics Club and gymnast stars from USA, Netherlands, Switzerland, Japan, Russia, Ukraine, China, France, Brazil and Canada. You can keep up to date on the event with live coverage from the BBC. The men’s event will be shown live on BBC One and BBC iPlayer from 13:15 to 16:00, then from 18:30 on Saturday evening, the women’s event will be shown live on BBC iPlayer, BBC Red Button and on the BBC Sport website.